Katie Weaver is the co-owner and developer of a spiritual healing center and metaphysical store she operates with her sisters. As a psychic and medium since early childhood, Katie has learned how to use her natural talents communicating with angels, ascended masters, animals and people who have passed, to comfort and serve a variety of clients. In addition to her abilities as a psychic, Katie is accomplished in the energy healing method of Reiki and has a special interest and expertise in mentoring psychic children and assisting the parents of these kids. Katie is the author of the book The Very Best Thing released in July 2012, and has been involved in a weekly radio talk show with her sisters for the past couple of years. "I truly feel I was born to make the world a better place and I am joyfully doing it" says Katie. Katie describes her early life and training as follows. "As a kid, spirits visited me in my bedroom at night. I remember very clearly a little boy with a rubber ball who always wanted to play. There was a woman by my side dressed in an old fashioned high necked dress. Eventually I realized she is my spirit guide, Liza. At first I was afraid of the spirits to the point I actually made myself sick and needed stomach surgery from stuffing unhappy thoughts and energy." Through reading many books and devoting herself to studying spiritual and metaphysical phenomena Katie has transformed her personal experiences and the lives of her many clients. "I realized there was nothing to fear." 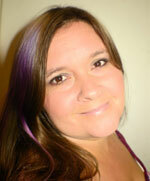 Katie loves her work as a psychic, medium and animal communicator. As a mom, she is particularly interested in psychic children and teaches classes at her spiritual healing center. "I love that I can help them navigate through fear of the unknown and into a magical world where they shine." Katie joined 12Listen.com to offer her gifts to a wider audience and clientele. She's here to help you find the magic in your life and your unique ability to shine.